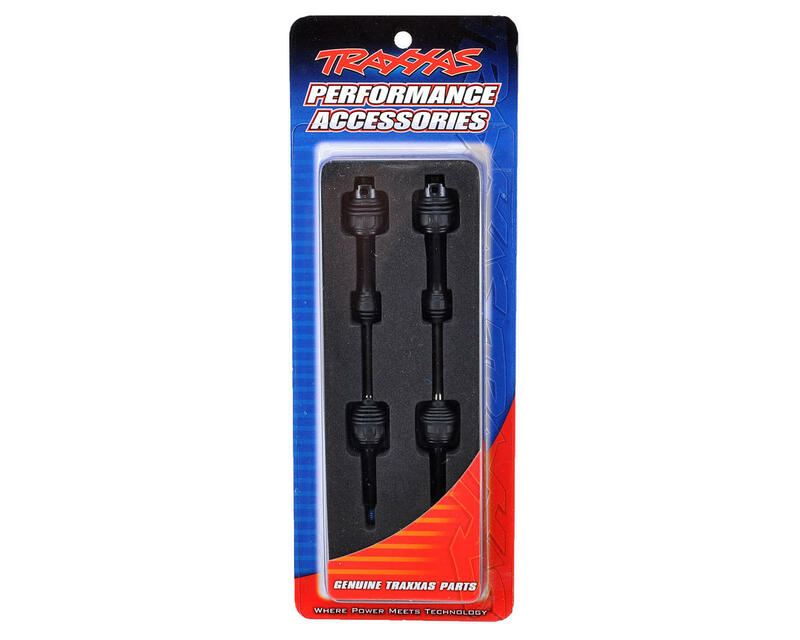 This is a pack of two Traxxas Heavy Duty Steel CV Rear Driveshafts. 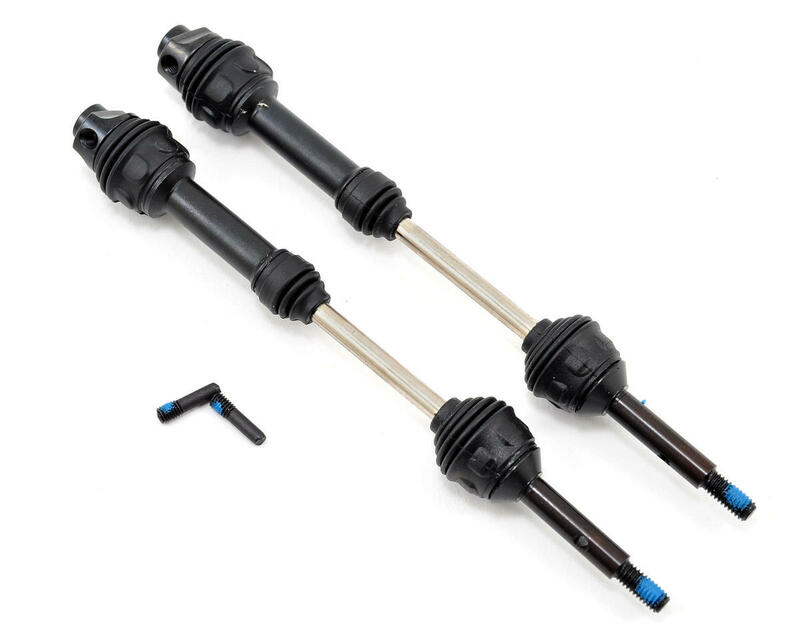 Traxxas Steel Constant Velocity Shafts deliver the ultimate in torque handling and efficient power transfer with gleaming nickel-plated shafts, combined with black silicone boots that add a custom look with improved durability. The outer U-joints are lubricated and sealed by a rubber boot for maximum protection against the elements, and the U-joint pins are captured so there is less worry about losing a pin. July '13 - Got mine and instead of reading this, order them, NOW! BY FAR the BEST cv driveshafts for your slash (mine is 2wd). The only thing that could make these better is replacement pieces. I've had mip and others and these are worth every penny! Oct '13 - UPDATE: Still best ever upgrade for your slash ever! ZERO complaints ZERO issues! I may never need to replace these driveshafts EVER! Apr '14 Still look brand new best upgrade period! I ordered this for the my Stempede 4x4 vlx. I Does NOT fit. The customer services rep informed me after contacting that i need TRA6852R per parts list on TRAXXAS web site. And the TRA1951R only fits the 2wd model. Worst YET since i open the package (since it looks about right just 1/4 inch too long) the i will not be able to return it. " In a case like that I would suggest trying to sell them"